What could possibly be more effective than moving air in an industrial facility than one of our pedestal fans? This particular model comes in a 24" diameter, with an adjustable height up to 88" tall. The frame is constructed from sturdy, powder coated steel. Where possible, avoid the use of extension cords. If they must be used, minimize the risk of overheating by ensuring that they are UL listed and of the proper gauge and length. Never use a single extension cord to operate more than one fan. 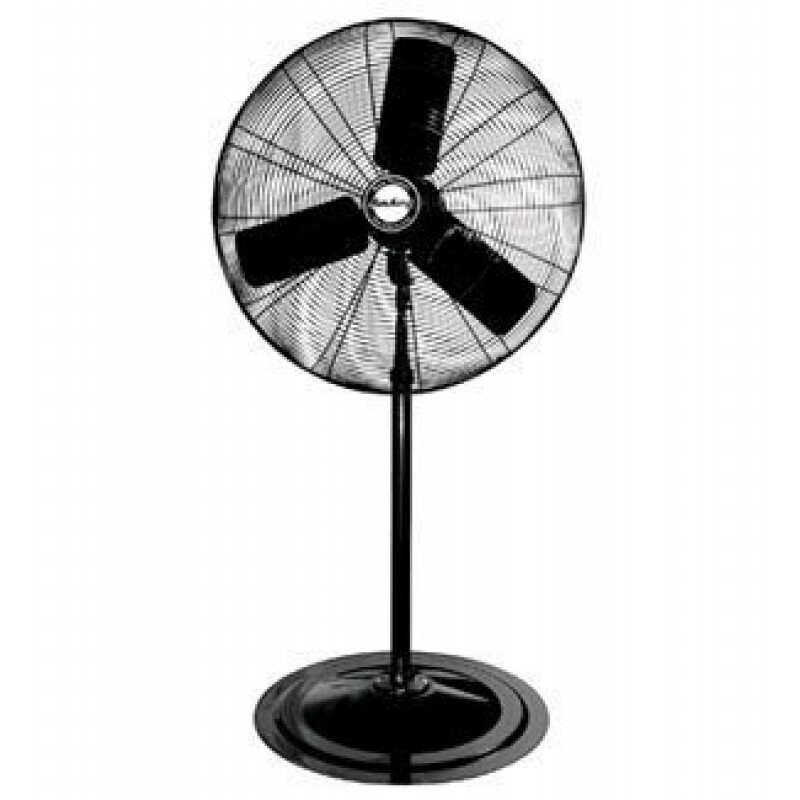 The AirKing 24 inch industrial pedestal style fan features a 3-speed pull cord that cycles through the different speeds. The 3- paddle straight fan blades are powered by a permanently lubricated motor with a 10 ft. 18/3 cord set. For a similar model that is an even more powerful but also turns, take a look at our 30" oscillating pedestal fan. ETL, UL, & OSHA compliance allow this fan to safely be used in any industrial environment. 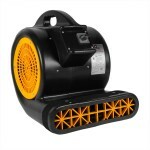 Pedestal style fans allow you to get the fan off of the ground and blow air over immovable objects. A height adjustment on this fan from 61" to 88" allow you to blow air where you need it. Fan weighs 74 pounds making it a tough object to move and perfect for plants & facilities. Powder coated steel blades, cage, and stand ensure long life. This is a review for the 24 inch Industrial Pedestal Style Fan.